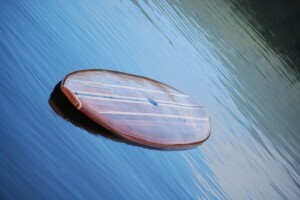 Currently featuring the Yachats Yoga Board – The best SUP for Yoga! Lighter weight, wider stance (for balance), built-in carry handle, group tether, and camera mount all complete this beautiful board. 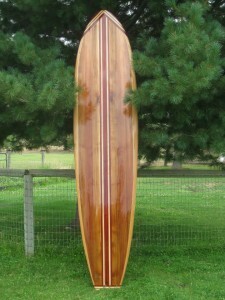 We offer kits and the completed board. 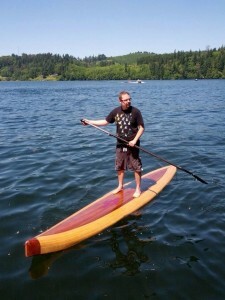 The Jack-of-all-Trades category: The Flat Water Stand Up Paddle Boards. Currently we offer the Columbia Star and Willamette Pearl, both pushing the boundaries of quality. We offer two different variations of the Rogue Racer – Full size, and Junior. Both are built for taking the first place gold medal. They’re light, and pointed for the fastest SUP on water. 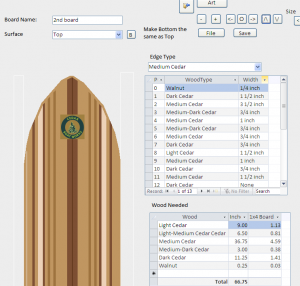 At Cedar Boat Works, we can custom design and build the board of your dreams. Just contact us. From time to time we may also offer limited-edition Unique boards. Be sure to check back often to see what we what we have in the works.